Specialist in airport transfers. Established for 10 years, take part in customer service. Our friendly and helpful drivers will get you to your desired destination, not only on time, but at the best compatitive rates. Our friendly and helpful drivers will get you to your desired destination, not only on time, but at the best and competitive price! We have years of experience in all UK airport transfers. Why not go on our website or call us in? 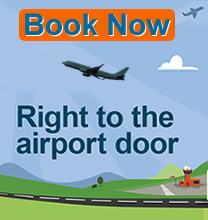 We specialise in transfers to and from all UK Airports, whether it's for the holiday maker or business traveler. All of our vehicles are of a high standard and are well maintained and our drivers are helpful and experienced. Our office staff are on hand 24 hours a day and constantly reviewing flight information to ensure your driver is there to meet you when you arrive back in the UK. Please allow up to 48 hours for email confirmation of you booking. 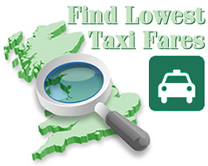 All the above prices are based on a on-way single pick-up from Wolverhampton. Prices may vary for other areas. Each additional pick-up or drop-off is charged extra. Payment by card is charged additonal.